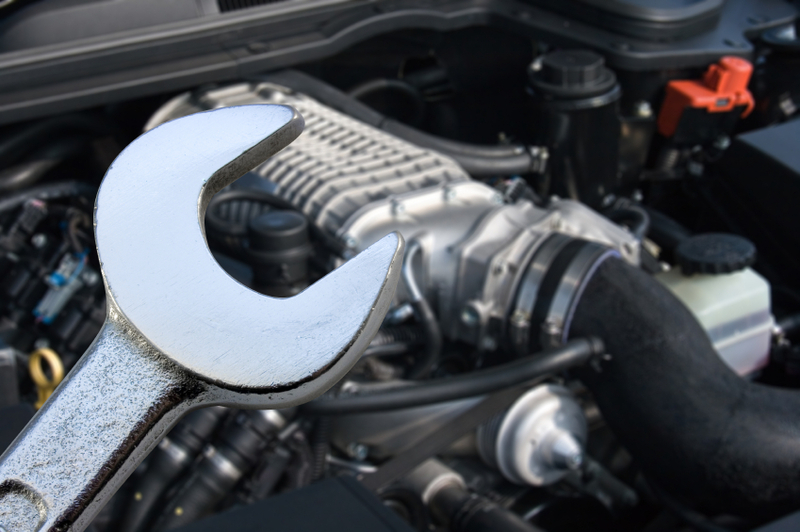 HomeTips & AdviceThe BasicsHow Does My Car's Transmission Work? There are many parts to any car, thousands in fact, but some of the systems that control what your car does and how it does it can be more important than others. The transmission is one of the most important, as without it, the power from the engine could never reach the wheels, and your car wouldn't be much use. There are two major types of transmissions in most cars on the road today: automatic and manual. We'll go into more detail on how those work in a moment, but it's important to note that several other types of transmission have also been gaining ground in recent years. 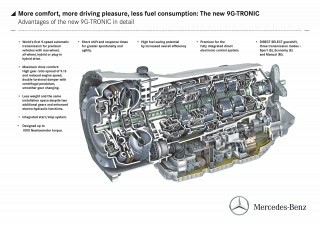 The dual-clutch transmission functions on principles similar to that of the manual transmission, but with computer control, bridging the gap between manual and automatic. The continuously variable transmission (CVT) does away with individual gears altogether, ramping up its power transmission ratio according to a set of rules. And electric cars often don't have a transmission at all, strictly speaking, having just a single fixed ratio to transmit power to the wheels. gear: in this context, a gear is a set of toothed wheels that work together to determine or alter the relation between the speed of a vehicle's engine and the speed of its wheels; it is also the term used to describe each of the gears a driver can select, which is in fact a ratio of the selected gears on the input and output shafts. Now on to how the two most common types of transmissions work. The automatic transmission is far and away the most popular kind on the road, and the most popular in new-vehicle sales. But the manual transmission is simpler in its construction and function, so we'll start with it in the descriptive process. Much of the function of the manual transmission can be carried over to, or analogized to the study of automatic transmissions. In its most basic form, a manual transmission consists of a set of gears along a pair of shafts, the input shafts and output shafts. The gears on one shaft engage with those on the other shaft. The resulting ratio between the gear selected on the input shaft and the gear engaged on the output shaft determines the overall gear ratio for that "gear." The driver selects gears in a manual transmission by moving a shift lever, which engages a linkage that controls the movement of the gears along the input shaft. Moving the lever forward or rearward chooses between the two gears available on a given linkage; cars with four gears, or speeds, use two linkages; cars with five or six speeds use three linkages. The driver changes between linkages by moving the shift lever left and right. To engage a gear in a manual transmission, the driver pushes in the clutch pedal, disconnecting the engine from the input shaft of the transmission. This frees the gears on the input shaft to move, as when the engine is sending torque through the input shaft, the gears on it are engaged. 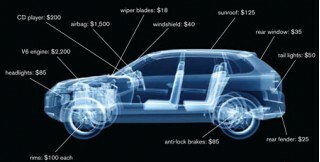 Once the clutch has disconnected the power from the engine to the transmission, the user selects the appropriate gear (i.e. first, third, reverse) and releases the clutch, re-engaging engine power to the input shaft and propelling the car with the selected gear ratio. In an automatic transmission, the same essential process is going on within the transmission itself, but it's all done behind the scenes. One of the primary differences between an automatic transmission and a manual transmission is that automatics don't use clutches (typically, anyway). Instead, the automatic transmission relies on a torque converter to de-couple the engine and the gear set. This planetary gear set functions by altering the ratio of input to output gear speeds trough engagement of one of the gears to another, offering a range of available ratios depending on which is engaged to which. But rather than being controlled by a shift lever, a complex system of hydraulics control which set of planetary gears are engaged at a given time. This hydraulic control system is in turn controlled by an electronic control unit programmed to suit the engine and vehicle the automatic transmission is installed in. All of these gear sets are connected to the engine's input by a series of internal clutches, which are also controlled by the computer and hydraulic system, to determine the gear ratio that will be output through the output shaft to the drive shaft to the wheels.